Ek vrek oor hierdie koek. En oor Orangette. Totally 'n fan-girl. The chocolate cake is hands down the most decadent of all recipes Adele. Nice post. Yes, it is a good book. I finished reading mine but have to make and post from it yet. Hopefully in the coming week. Love this cake and I got so much chocolate for Christmas that I can use!!! Thank you for all the lovely comments, everybody! Yes, this cake is awesome. I think if you have to cook only one cake for the rest of your life, this should be it. Aparna, I'm a DB too, but I missed a few challenges when we moved. This was one of them. Curry Leaf, good luck with the gym. I feel for you, my friend. Nina, I have so much chocolate too! 1.5kg of Toblerone staring at me, to be precise. I'm currently looking for a diet where it's OK to have 1.5kg of Toblerone. Any ideas? 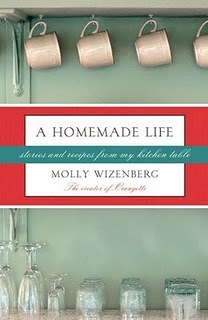 I just finished the book and I can't make up my mind - I want to cook every single recipe in there! I agree totally, Simran. They are all fabulous. That cake sounds awesome! I think we are all carrying some extra weight from the Christmas excesses. Thanks for visiting, nice to meet you. I have to read this book from the sound of it! the rich chocolate cake sounds familiar! Nice to meet you too, Sous. Joumama, the book is wonderful. I highly recommend it. NQN, glad you got it. I'm usually the only one who thinks I'm funny. Hee hee - I like your serving suggestions! The cake DOES look fabulous - I love flourless (and nearly flourless) chocolate cakes. I am waiting to shed a few lbs before I make that cake. But no matter what, the cake will be made before the year is over, because I agree, if I have to eat one cake for the rest of my life, this will be it! Great review girl. Agree with every word. Oh Wow! Dangerous stuff - I certainly would never get round to freezing before eating either. Well done for the cake making it through to breakfast!